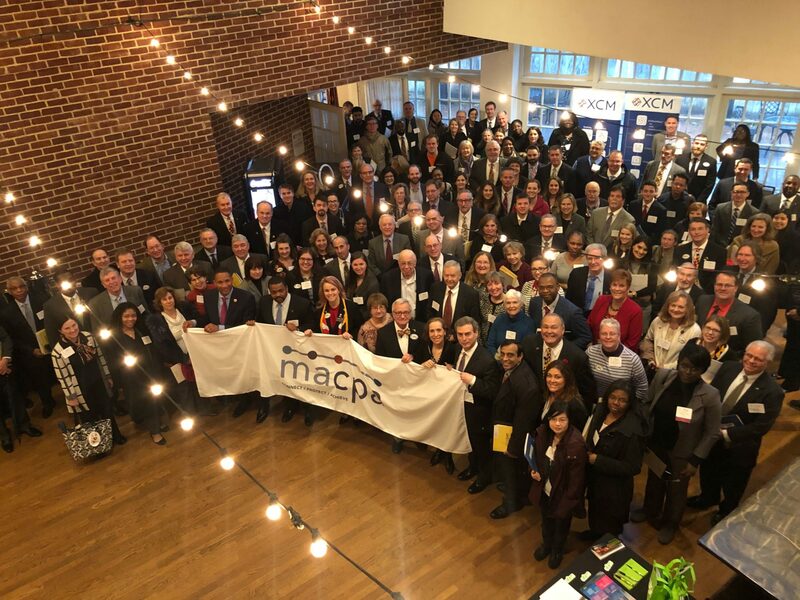 A record number of freshman lawmakers in Maryland’s General Assembly received a crucial inservice on the accounting and finance profession on Jan. 24 as more than 200 CPAs poured into the state’s capital for the Maryland Association of CPAs’ annual CPA Day in Annapolis. The event, which marks the beginning of the Maryland General Assembly’s annual legislative session, offers CPAs the opportunity to meet face-to-face with their legislators to discuss issues that impact their clients and their profession. It’s perhaps the most impactful event the association offers each year, and according to MACPA Executive Director Tom Hood, more is at stake legislatively this year than ever. Brian Feldman, a senator from the 15th Legislative District. Arthur Ellis, a newly elected senator from the 28th Legislative District. William Wivell, a delegate from District 2A. Ellis (pictured on the far left with MACPA Chair Samantha Bowling, Feldman, and Hood) is one of 17 new faces in Maryland’s Senate this year, and 43 new faces are in the House of Delegates. That makes 60 new members in Maryland’s General Assembly out of 188 legislators total, a turnover rate of nearly 32 percent. That makes CPAs’ participation in Maryland’s 2019 legislative session even more crucial. These new legislators will need CPAs’ guidance to navigate the issues that impact our profession and CPAs’ clients and the public at large. These legislative changes can and will influence and impact our profession, not to mention Maryland’s business and social environment. Sen. Feldman said CPAs’ input and insights are more important than ever. Maryland Lt. Gov. Boyd Rutherford, pictured at right, also made a brief appearance at the event, telling attendees that the state’s improving economy means more businesses are launching in or moving to Maryland as a result — and that’s good news for the state’s CPAs. Pass CPA firm license mobility: This helps minimize the deregulatory risk issue. Read our position paper here. Protect the state’s CPA licensing system. Stop sales taxes on professional services. Minimize the impact of complex tax issues, such as the Tax Cuts and Jobs Act and Wayfair. Stop liability risk from comparative fault. Stop excessive data protection and privacy legislation. Stop onerous employment issues and laws such as non-disclosure agreements and and non-competes. Keep an eye on our new legislative arena to track bills that impact our profession as they make their way through our General Assembly. We may even use this page to ask you to advocate on our profession’s behalf. Your involvement is more important than ever. Get involved. Get active. Get behind your profession.